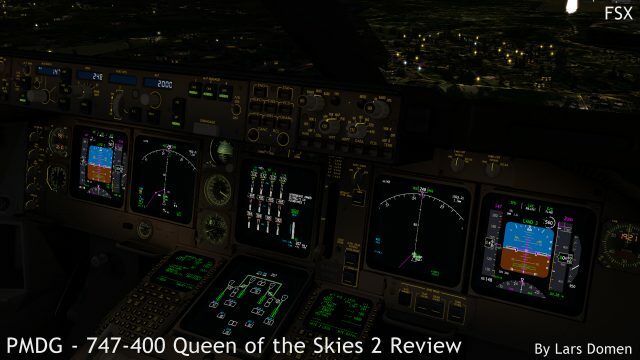 When Precision Manual Development Group (PMDG for short) announce a new product, you can rest assured it will be very highly anticipated by the flightsim community. If said product is a remake of their almost-legendary 747, anticipation goes ballistic. 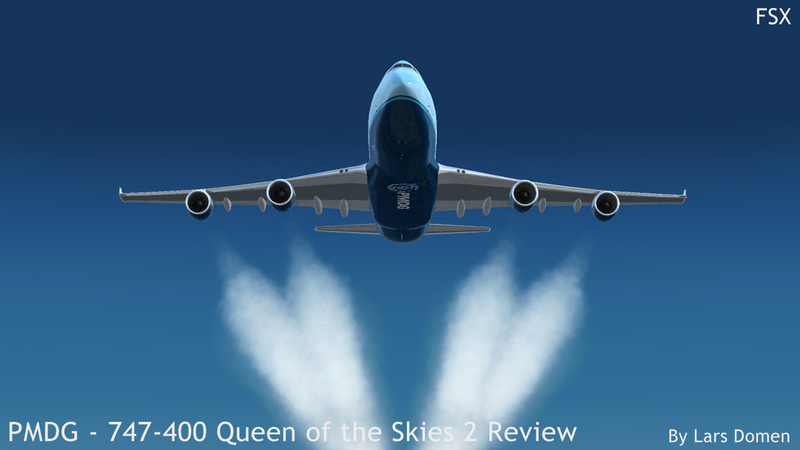 The PMDG 747-400 Queen of the Skies II was released a bit over a month ago. Read on for my first impressions. 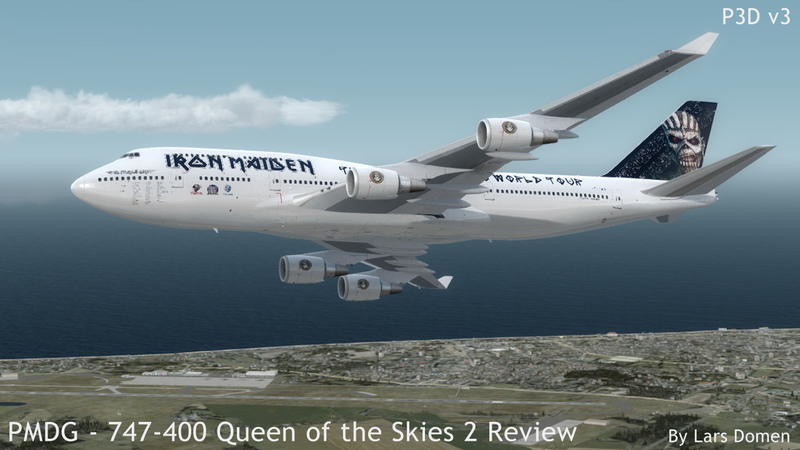 One might say the 747-400 is almost PMDG’s ‘raison d’être’. The Queen of the Skies II is their third product covering this iconic Boeing airliner, hence you’ll also see it being called the 747v3, and the second product bearing the Queen of the Skies moniker in its official name, hence the v2 in that sense. The Boeing 747-400 was announced in 1984 as an update to Boeing’s successful 747 widebody airliner. First flight happened in 1988, followed by an entry-into-service in 1989 with Northwest Airlines. 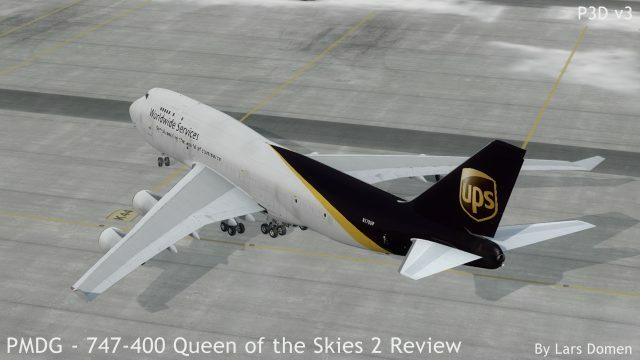 This revolutionary update of the 747 line resulted in a bestselling model, with 694 airframes built. Both passenger, freight and combi variants were built, as well as domestic (short range) and extended range versions. Passenger-to-freight conversion programs give used airframes a new lease on life. Before I dive into the product, something about this review. This are my first impressions. This means that this review is not comprehensive and I did not test everything I could think of yet. For example, I’ve not yet touched the failures or non-normal operations. I’m still getting used to the Queen of the Skies when everything works normally. Also, by human nature, first impressions tend to be amplified beyond the objective. The good becomes great, the bad becomes terrible. This is just human nature, and I’m human last time I checked. Just keep all this in mind when reading these first impressions. 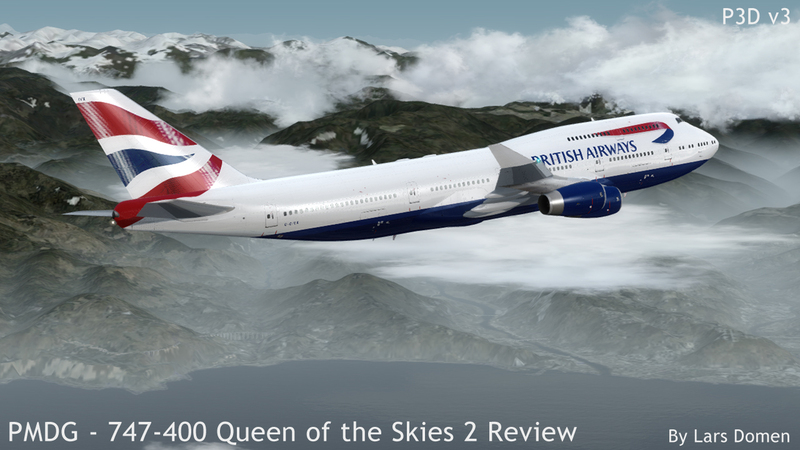 If you want the 747v3 in your simulator, you’re confronted with a not-insignificant investment. The FSX versions will set you back US $89.99, the P3D version $134.99. Unfortunately, there is no discount for owners of previous versions, or for a bundle when you buy both. 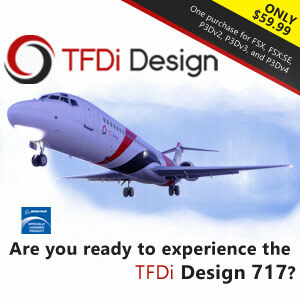 While this price is high to say the least, it is the same as for the PMDG 777X, so no price hike at least. Unlike with that 777 though, you get a lot of versions for your money. 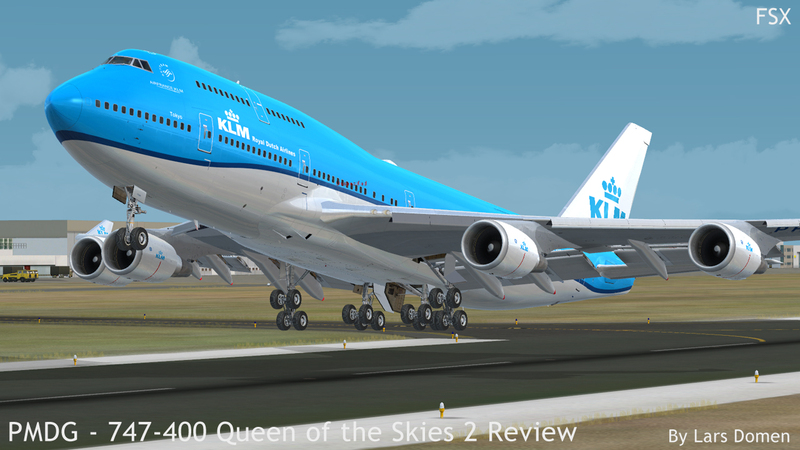 The PMDG 747 QotS2 comes with all ‘normal’ production versions: -400, -400F, -400D, -400M, -400ER, -400ERF and -400BCF. Considering that many of these also come with 3 engine options (General Electric CF6-80C2B1F, Pratt & Whitney PW4056 and Rolls Royce RB211-524), that’s no less than 15 variants! Actual installation is straight forward. Download the installer from the link in your confirmation email (a download coming in at just over 1GB) and go through the usual steps. Activation using a serial number is done upon first running any of the 747 variants in your simulator of choice. For me, it worked flawlessly. 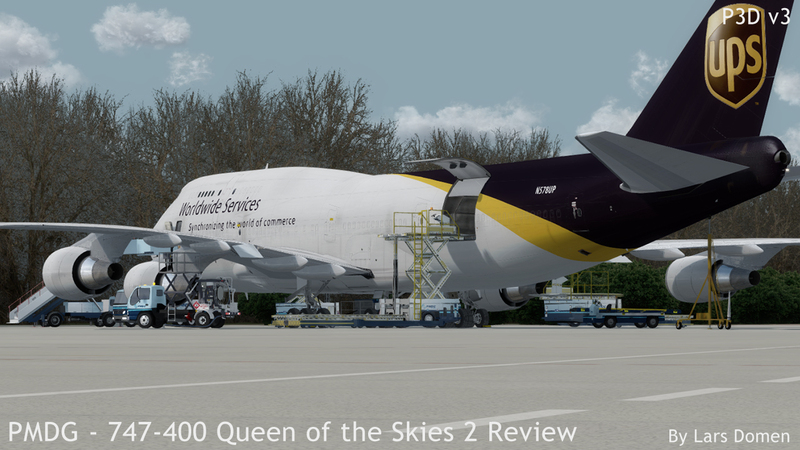 As with the PMDG NGX and PMDG 777X previously, the 747 QotS II uses the PMDG Operations Center. 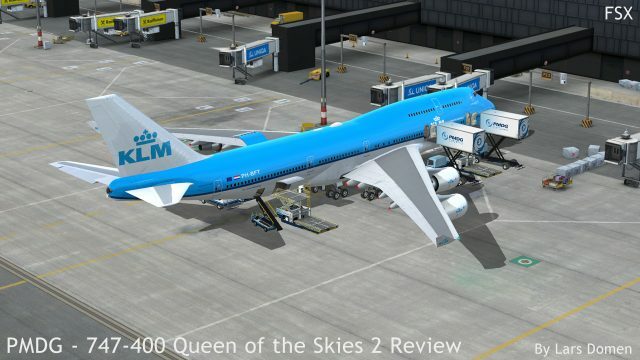 This Ops Center functions as a livery manager and a livery downloader for the official PMDG liveries (there are lot!). It also has links to the documentation, as well as a version checker. 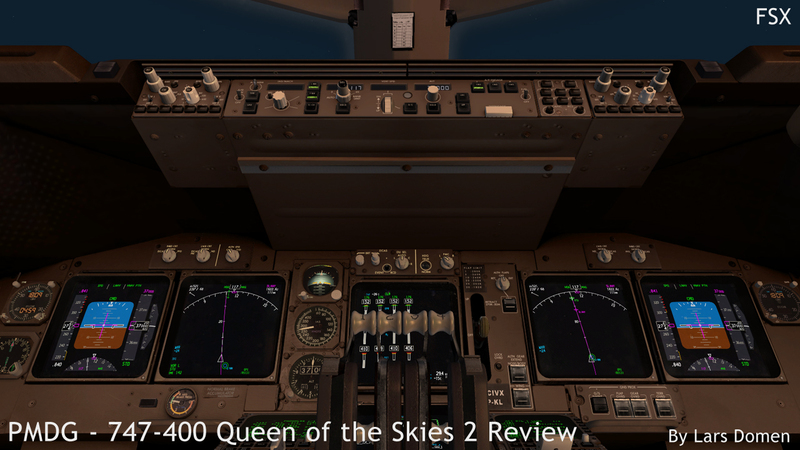 A huge new feature with the 747, is the ability to push micro updates through the ops center. This is a huge improvement in user-friendliness. 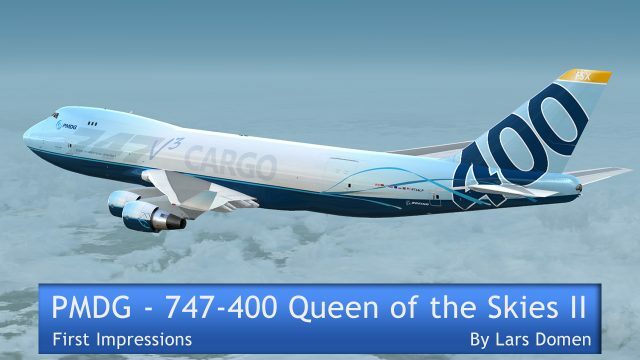 One feature which is there for the NGX and 777X that seems to have not made it into the 747, is changing aircraft specific options through the Operations Center. The very first aspect to note is of course that iconic 747 look. 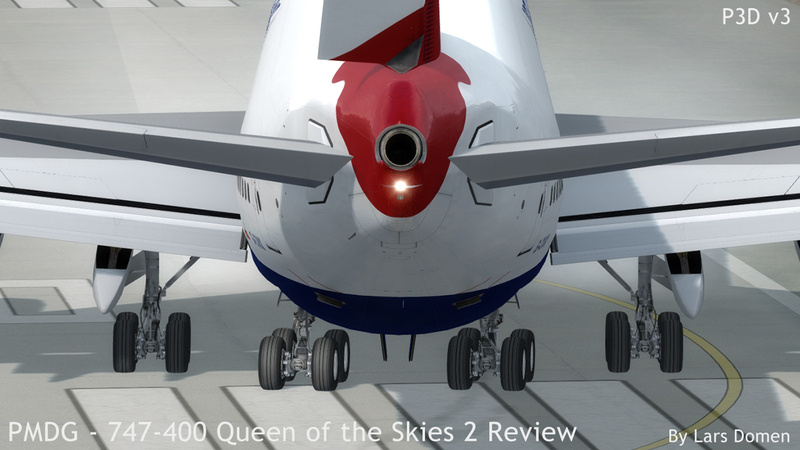 The bump on the fuselage, distinctive nose with the very high cockpit, those 4 engines, that unique landing gear configuration… All that is of course there in the exterior model. But there is more: lots and lots of detail. The landing gear, see-through windows, all doors (and there’s a lot of those!). The textures covering the model get blurry if you zoom in as to try and read warning placards. But for all normal zoom levels, they’re detailed and sharp. Very good. 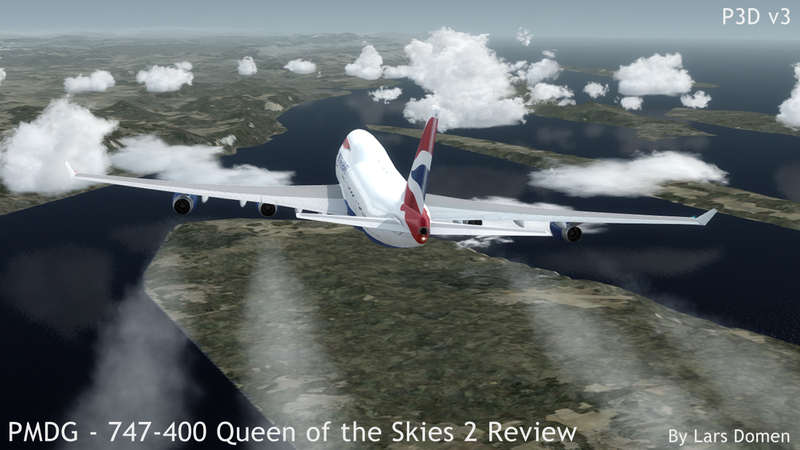 I also get the impression PMDG made very good use of the so-called ‘bump maps’ on this 747. Good detail in panel lines, rivets and the like. 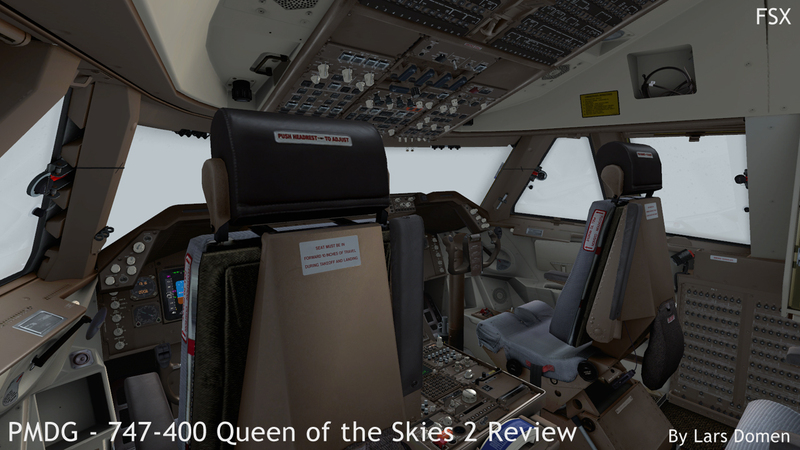 My first impressions are that the texture work on the 747 is quite a step up from the 777X. When looking at the virtual cockpit, there’s once again that very specific 747 impression. It just so different from those other PMDG jets, the 737 and 777. The flight deck in itself is quite big, but the panels are very full, owing to the fact that there are 4 engines and lots of fuel tanks, all needing controls. Again, both model and texture work here are outstanding. Very detailed, and looking very realistic. Night lighting in the VC also looks good. It’s fully adjustable, and all zones can be controlled individually. The 747v3 is PMDG’s latest product. Knowing that, you can expect all bells and whistles to be present in this product. Apart from one feature that is. 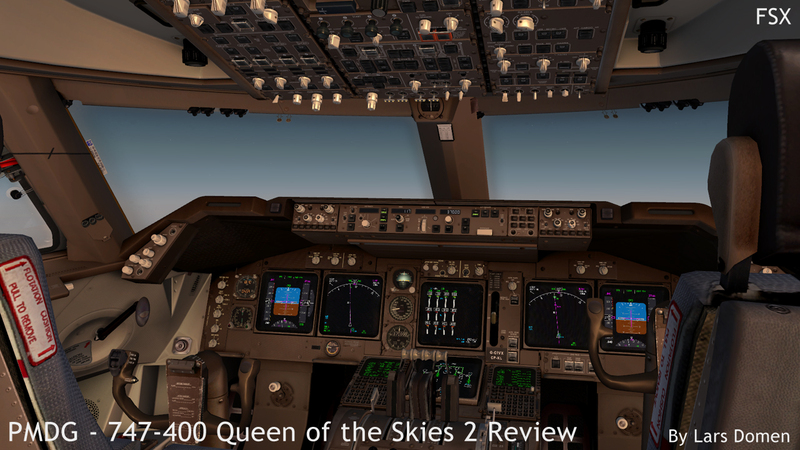 As with the previous 777X, PMDG did not create full 2D panels for the QotS2. 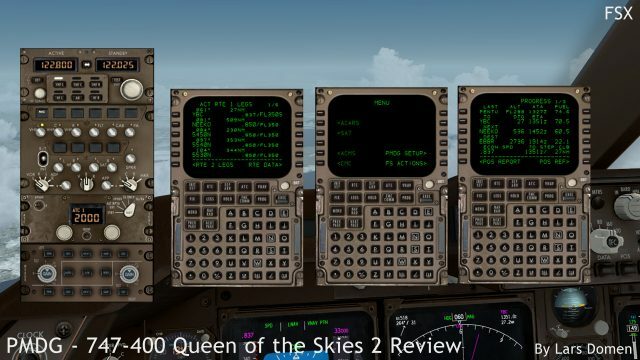 They did include the most important panels as 2D pop-ups though: all 3 CDU’s, the Mode Control Panel, the EFIS and Display panel, the radio tuning panel, and all 6 displays. 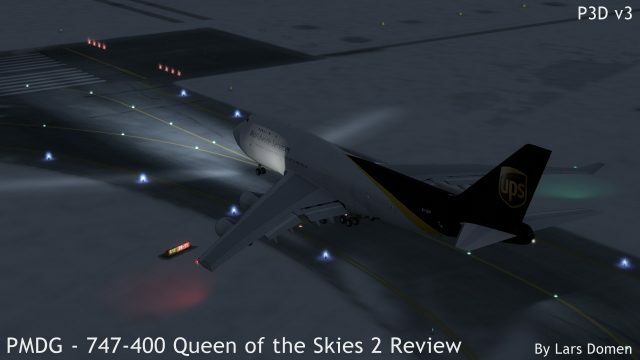 When looking at the aircraft systems, first impressions are great. No matter what aspect you look at, be it engines, hydraulics, electrics or something else, the amount of detail is staggering. I’m used to it being very fun and staggeringly detailed to play with the system displays on PMDG aircraft, and the 747v3 does not disappoint in the least. Seeing all those metrics, like hydraulic pressure or cabin temperature, change in a realistic way is always nice. 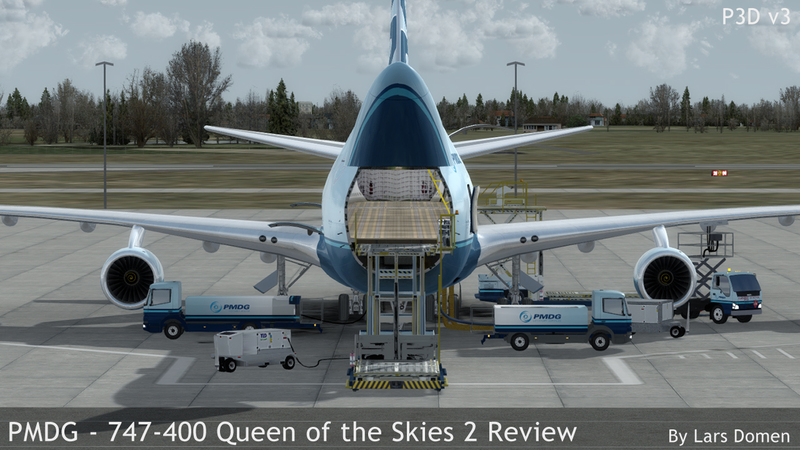 Apart from the actual aircraft systems, the QotSII comes with a lot of extras from PMDG. The detailed failures and the ground operations feature from the 777X make a comeback. 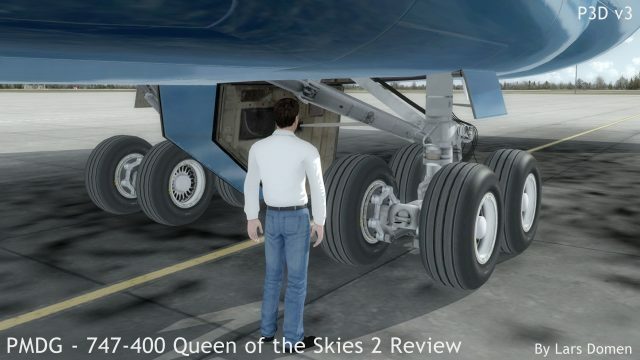 But new is the fact that ground services can connect to the aircraft in a realistic way. Using the old way, you requested a specific ground service, and it just connected with the aircraft immediately. Some add-ons, including the latest from PMDG, also made said service appear visually in the simulator. 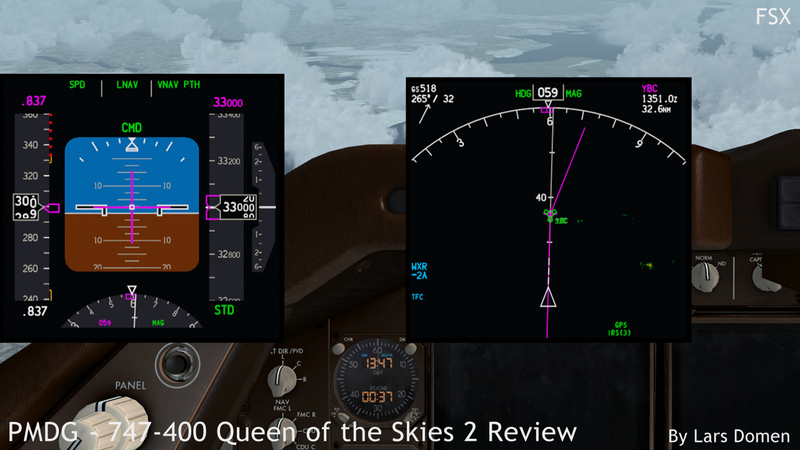 This old way is still available in the 747v3 as an option by the way. The new way though, goes through all the motions: the requested service is driven up to the aircraft, backs up into the right location, and connects. This takes longer, but is way more realistic. It’s also nice to see, especially in conjunction with the Ground Operations feature. There’s a lot of vehicles driving up to a 747 in order to turn it around! 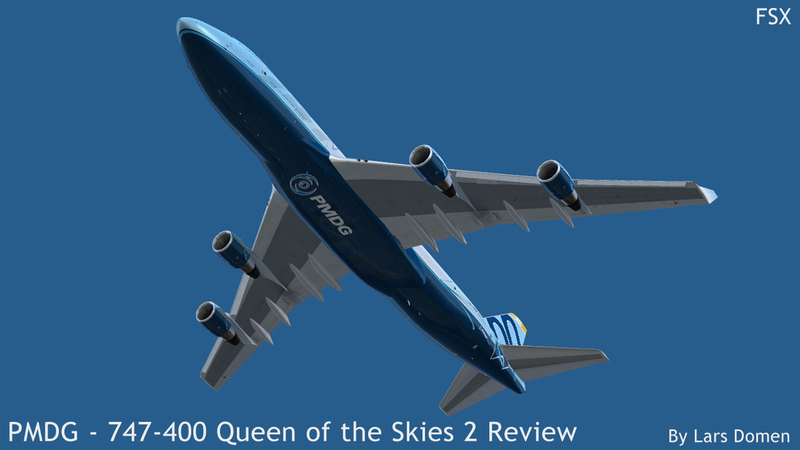 In these respects, PMDG once again takes what made their previous products successful, and tuned and tweaked it be even better for the 747. The sound environment is very detailed and immersive. Just about everything seems to make noise in this aircraft. Different kinds of buttons sound different, and pressing one button sometimes sounds just a tiny bit different from pressing the same type of switch next to it. And of course, the different engine types sound markedly different too. As for flight dynamics, they remind me a bit of both the NGX and the 777X. 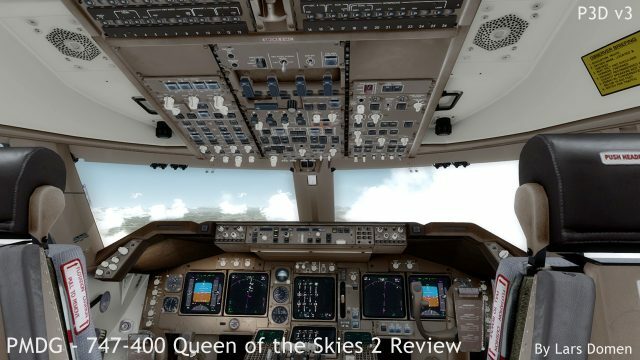 You’ll notice you’re flying a very big aircraft with lots of power (though not as overpowered as the 777), but your also flying an aircraft without fly-by-wire controls. So increasing thrust will result in a pitch up tendency and nice little details like that. 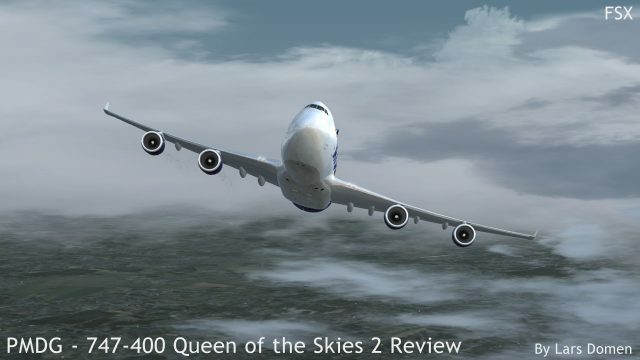 At high gross weights, you’ll also notice the 747 climbs very, very sluggishly at first. Don’t expect to climb quickly and increase speed at the same time. On the other end of a flight, you really want to take your time to set up for the approach. Those big flaps don’t come down quickly, and approach speeds are quite high. A combination that might catch you unawares at first. On the ground, the 747 impresses with its smoothness. It taxies predictably, brakes smoothly, and turns beautifully. PMDG has stated this is an area they worked a lot on, and it shows. It’s just hard to put into words. 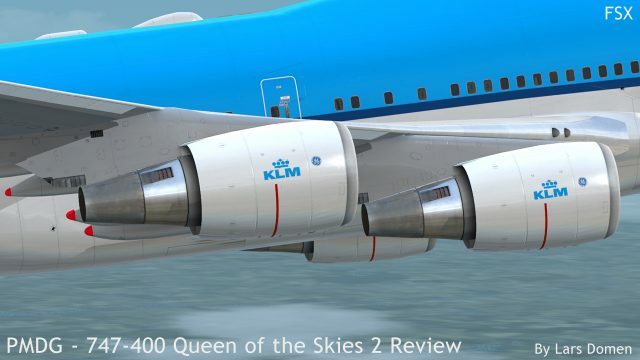 I will certainly keep an eye on this aspect of the 747v3, and do more comparison. But for now, I can say I was impressed from the very first moment with the smoothness of the simulation. Framerates on my system appear very good (as in, better than many other high-detail simulations). I’ve not gone through the steps to quantify VAS (memory) usage yet, but in several flights, both long and short, both FSX and P3D, the QotSII has not given me an out-of-memory error yet. Telling in this regards is that the PMDG forum was not inundated with performance and memory topics the first days after release. To me, this seems to indicated PMDG got it very right. In conclusion, it’s very clear the PMDG 747 Queen of the Skies II builds upon the foundations of the 737NGX and the 777X. If you’ve flown those, you’ll feel right at home in the 747, once you learn the specifics of the new airframe. My first impressions were positive across the board, with no clear negatives readily apparent to me. That’s not to say there are none, but it’s a good sign. The one aircraft that’s almost synonymous with the PMDG brand name is reborn, and ready to make an impression. It seems like the sound of the speedbrake lever comes up half a second too late from what I can tell by watching youtube videos. Flying this plane is so similar to the 777 I don’t know why everyone is so excited. 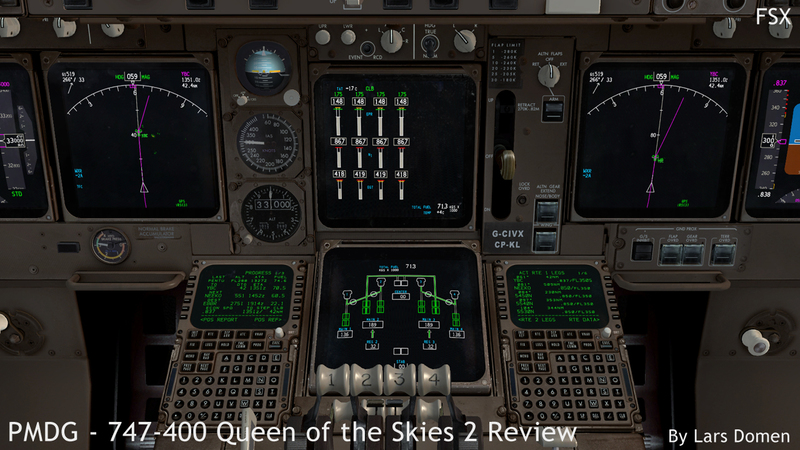 The displays are almost identical across the 77, 74 and 737 cockpits other than the tape displays for the four engine beast. But the flows and procedures are very similar. It’s a lot of money to spend on essentially the same flying – at least in my opinion. Man we’re exactly on the same boat, Ray. I’m still quite happy with my original Queen of the skies 747-100 & 200’s models which I prefer over the newer 747′ models. Huh? 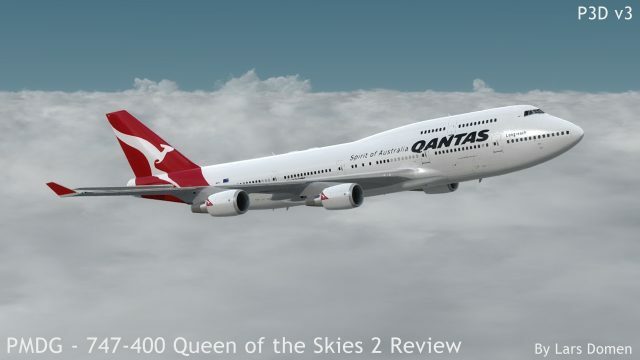 Original QofS did not have 747-100 & 747-200 models, they have always been -400 or the -8i/-8F expansions. 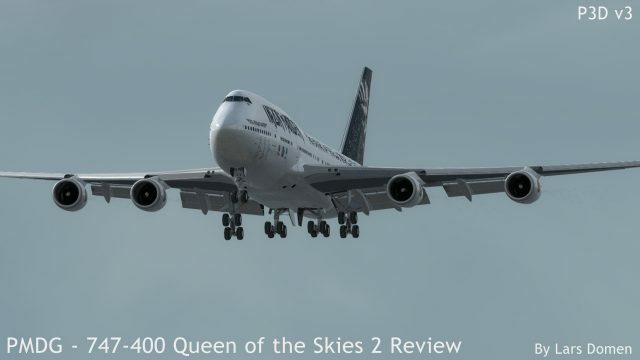 I own all three versions (v1 for FS9, v2 for FSX, and v3 for FSX and P3D).